What exactly is the U.S. Navy’s brand new stealth destroyer for? The USS Zumwalt is guided by tugboats as it arrives in Portland Harbor. As the U.S. Navy prepares to commission a new destroyer, experts weight in on the implications for Russian and Chinese sea power. The U.S. Navy will commission the first of the three planned brand new destroyers in October 2016, according to an ABC report. The new vessel passed at-sea acceptance trials in April 2016, according to the U.S. Navy’s Twitter account. The DDG 1000 class destroyer, known as the USS Zumwalt, is assembled to assist ashore forces with fire support in near-shore operations. The ship has attracted media attention for its unusual design. Its ironclad shape hides the destroyer’s weapons systems beneath the vessel’s armored surface, reportedly making it invisible for radars. Military analysts have praised the capabilities of the USS Zumwalt but warned against overestimating the potential impact of the destroyer on the maritime balance of power. Stealth technology and a propulsion system of low noise conceals the destroyer from radars as well as from submarines that use acoustic systems to detect surface vessels, according to Litovkin. Despite the state-of-the-art technology used in its construction, experts caution against speculation on the ship’s likely adversaries. 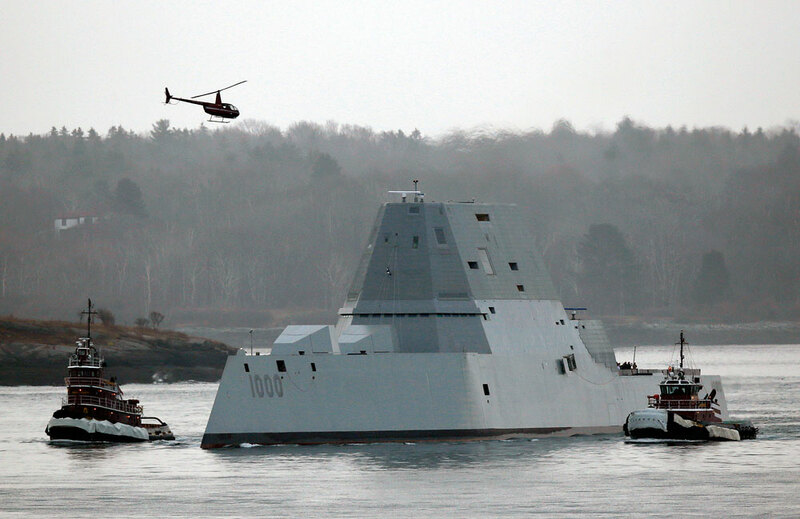 The USS Zumwalt represents “a vision of the capabilities the U.S. Navy will need in the future,” said Michael Kofman, a fellow at the Kennan Institute of the Wilson Center. The U.S. Navy did not procure the USS Zumwalt to respond to any specific threat or adversary, according to Kofman. Instead, the destroyer represents years of capability investments with an outlook into the navy’s future needs. In the future, however, China may become a potential challenger to U.S. sea primacy. Maneuvers by the People’s Liberation Army Navy are a source of recurring concerns for the U.S. and its Asian allies. “Chinese leaders are focused on developing the capabilities they deem necessary to deter or defeat adversary power projection and counter third-party – including U.S. – intervention during a crisis or conflict,” concluded the latest Pentagon report to the U.S. Congress. The DDG 1000 program may be a part of the U.S. strategy to forestall Chinese potential military supremacy at sea. Notably, the new destroyer appears in Ghost Fleet, a novel widely read by Pentagon officials. The book’s plot features a future conflict between the U.S. and China. Conversely, Russia has fewer reasons to worry about the new destroyer: The USS Zumwalt will not undermine the position of the Russian fleet, according to military analysts. Russia’s maritime presence is largely confined to the Baltic and Black seas, which are safely sealed with SSC-5 Stooge, a Russian mobile coastal defense missile system, according to Dmitry Litovkin. “The use of large destroyers in small [war] theaters is not merely ineffective, it is fraught with great danger,” he said. Nevertheless, Russia is developing a prototype of its own nuclear-powered destroyers equipped with stealth technology known as “Leader.” If commissioned successfully, “the Leader destroyers will be the closest competitors of the USS Zumwalt,” said Litovkin.